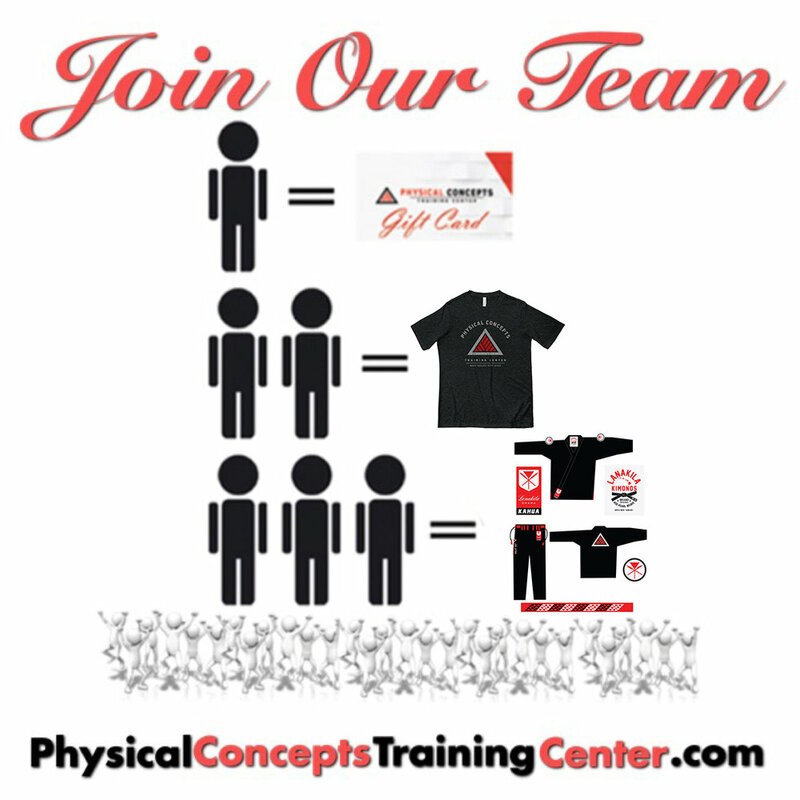 The biggest form of compliment and praise to Physical Concepts Training Center, it's staff, and training team is a referral. We do not advertise via traditional methods. Majority of our growth comes through referrals. When we receive a referral, what we are really receiving is your trust. And, as we can never really thank you enough, we can thank you through small gifts of gratitude. Here is a reference of what will be given for any referral of yours that JOINS our team. Again, thank you for being a part of our team. We strive to keep your trust by giving our best to you.